Subject or Predicate: What’s Missing? Many sentence fragments are missing a subject or predicate. 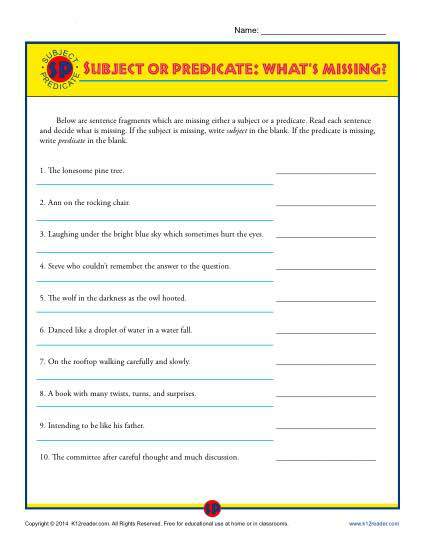 This subject and predicate worksheet has multiple sentences fragments, and your student is asked to identify which is missing. It’s great practice for 4th grade Common Core Standards for Language, but other students may also use it as necessary. Need Help? What is a Predicate?